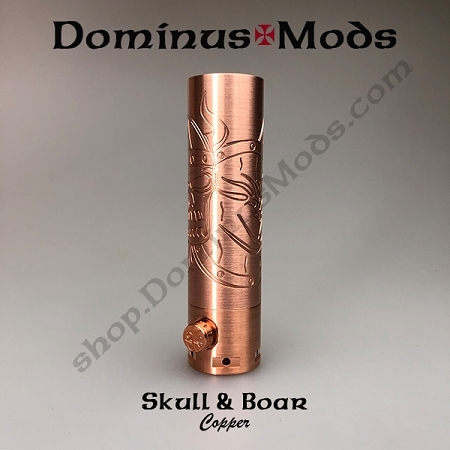 Limited Edition, 1 of 20, Copper, Dominus Skull and Boar. 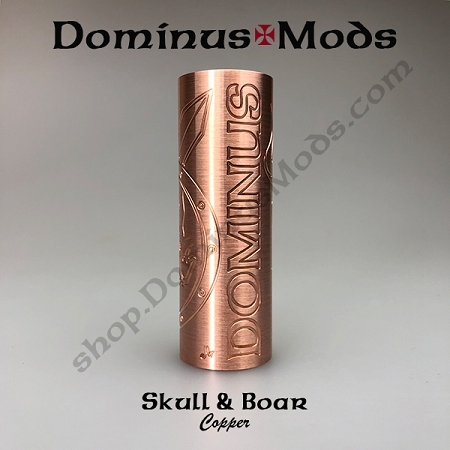 The 24mm Dominus; Advanced users only. This device is intended for advanced collectors only. I provide no product liability and do not intend this device to be for anyone who needs any help or has any questions about the use of this device. Regardless of device performance we are still limited to the ability of the battery and user knowledge, vape within your ability. Purchasing this device, you accept all responsibility involved in the use and function of it. Warranty includes material and manufacturing defects, it is your responsibility to identify any before first use as the original owner. Replacement button and bottom post sold separately. MOD NUMBERS SHIPPED IN ORDER PURCHASED, PLEASE NO SERIAL NUMBER REQUESTS AT THIS TIME.